Listen to Artistic Director Eva Dean on the Movers and Shapers Podcast! Eva was featured in the latest episode of our favorite dance podcast, and you can listen now to learn more about Eva's career, the history of Eva Dean Dance, and more. 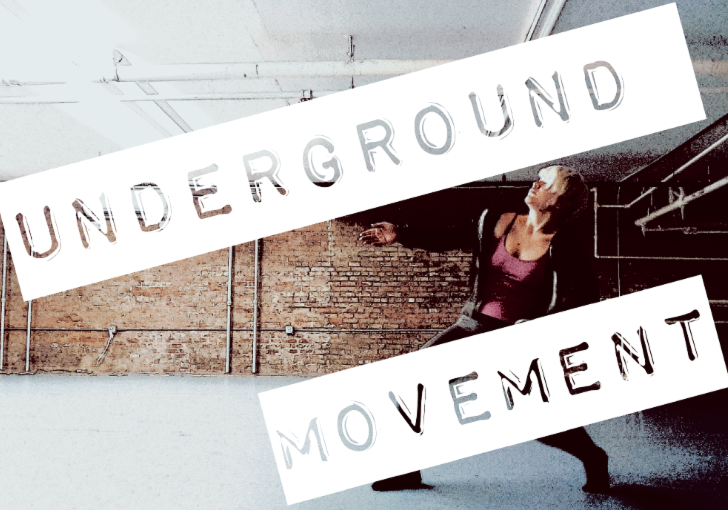 Underground Movement is a new, unplugged performance series at Union Street Dance, and part of our effort to create more opportunities for artists to share work with one another, cross-pollinate audiences and receive feedback from a supportive community. Each event will feature several different artists presenting 5-12 minutes each of new work. APPLY TO PRESENT YOUR WORK AT UNDERGROUND MOVEMENT: VOLUME 2 NOW! We are currently accepting proposals for Volume 2 of Underground Movement. This series is primarily for dance but is open to other live mediums (such as theater, performance art, poetry, puppetry, storytelling,etc.). -Estimated length of performance (must be 5-12 minutes total). **Please note this is a low-tech, studio showing so projects with larger technical needs may not be a fit. Eva Dean Dance has developed an interactive assembly that focuses on bullying and using the language arts to write and discuss the metaphors' inherent in the piece. WELCOME BACK will be performed in this assembly and used as a springboard for discussion between students, the school's guidance counselor and Ms. Dean. Eva Dean Dance performed this at JHS 259 William McKinley in March 2013. WELCOME BACK shows how a social clique, school girls in this dance, follows a 'leader' out of fear of being singled out themselves. The aggression toward and oppression of this scapegoat continues until one person within the clique steps outside the group, extending her hand to the abused individual. In this single act of courage and kindness the bullying is diffused. This interactive workshop is a new initiative and we will begin reaching out to the public schools where EDD has an established relationship. Eva Dean Dance is available to teach grades K-6. The dance curriculum is based on BOUNCE movement vocabulary. Eva Dean Dance (EDD) has provided PS 56 in Forte Green, Brooklyn a very special Art Education experience. EDD’s Art Education event featured our Newest BOUNCE dance as well as interactive student participation. Some of the other schools and organizations that EDD has brought dance to are IS 259 in Bay Ridge Brooklyn, and Alice Teirstein's "Young Dancemakers" in New York City. Dean has also set EDD repertoire on college and conservatory students, created new dances for Brooklyn Public school students, and taught master choreography workshops as a guest artist. Past residencies and workshops include Hampshire College in Massachusetts, Bennington College in Vermont, and Hartford Conservatory Dance in Connecticut. *Residency packages are available to learn Eva Dean Dance technique and repertoire. Three Day: Includes one lecture demonstration, one repertoire class and Eva Dean Dance performance(s). Six Day: Includes one lecture demonstration, 5 repertoire classes and Eva Dean Dance performance(s). Two weeks: Includes one lecture demonstration, 16 repertoire classes and Eva Dean Dance performance(s). Company Repertoire Performance Residency: Includes one lecture demonstration, 32 technique classes, and 20 rehearsals to learn a selected dance from Eva Dean Dance repertoire. Residency culminates into a performance with Eva Dean Dance. Repertoire can also be performed as a part of the school's available repertory as negotiated in a contract. *Adjustments can be made to all of the above packages depending on the needs of your college. Eva Dean Dance has received awards and critical recognition for its site-specific work. Ms. Dean is available to create a site-specific dance for your organization's dancers and local community. Past site specific locations that Ms. Dean has choreographed for include the Rock Garden, Lilac Grove and Horse Chestnut Grove in the Brooklyn Botanic Garden, The Boat House in Prospect Park, Brooklyn and a turn-of-the-century barn in Massachusetts. A complete list of Ms. Dean's site specific choreography is available upon request. BOUNCE, JR., is a 45-minute version of BOUNCE created specifically for those with a shorter attention span. The dances performed on the junior program cut straight to the chase by including the most energetic, awe inspiring movement. Dances featured are a wickedly fun playground romp, dolphins diving and surfing over giant balls, a rubber ball orchestra, and a cascading 500 ball waterfall.